With Christmas quickly approaching, it’s time to think long and hard about your holiday wishes, compose a letter to Santa and send it off to the North Pole in hopes that he will read it before the big day. 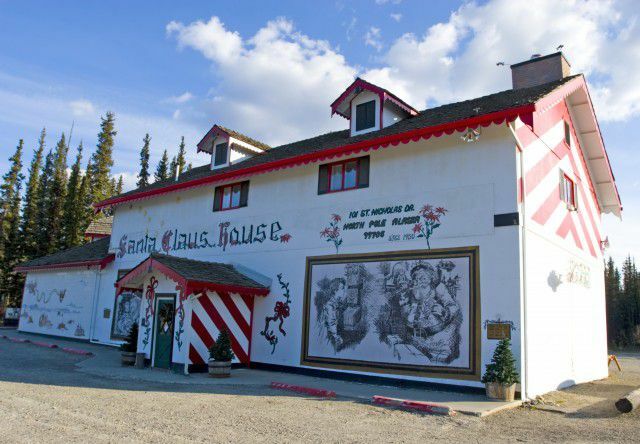 You may not know this, but North Pole is a real town in Alaska and home of the Santa Claus House where the Christmas spirit is celebrated all year long. The house was first constructed in 1952 and has seen visitors from all over the world. If you aren’t able to visit the Santa Claus House in person this year, it’s still a great place to mail your letter to Santa. 2015 has been a fantastic year! I’m proud to say I’ve been very (adjective) for the past 12 months and look forward to being rewarded with a (noun) or maybe even a (noun) on Christmas morning. I’ve been (verb ending in “ing”) plenty of holiday cheer to my friends and family this season. I’ve already picked out a (noun) for my (family member) and I have a pretty (adjective) surprise for (person). I’ll also be preparing a (adjective) Christmas dinner for my entire family. We’ll be feasting on a roast of (animal), accompanied by mashed (vegetable) and a (adjective) gravy. After dinner, my family loves to (verb) before watching our favorite holiday classic, (movie name). I am so excited for your arrival this year! I promise to set out a nice (vegetable) for your reindeer and a plate of fresh baked (food) for you.